Do you like folk-style accessories? 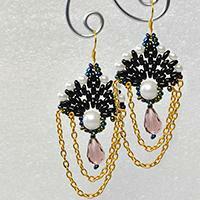 This tutorial will show how to make a pair of folk -style earrings. The ideal mix of colors and delicate structure will surprise you! Summer is coming! 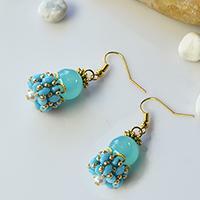 The cute blue beads cluster earrings match so well with fresh dresses and outfits, 2 - hole seed beads make the earrings look so smart and dedicate. Try them! 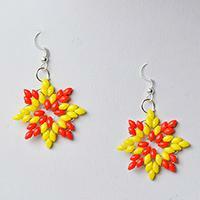 Do you own your 2-hole seed beads flower earrings? 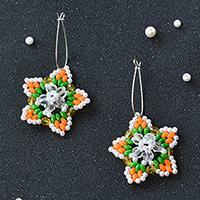 Then how do you think of this pair of 2-hole seed beads flower earrings, follow me to check the tutorial if you like them. 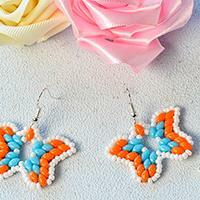 In this Pandahall tutorial, I'll show you how to make a pair of 2-hole seed bead butterfly earrings. 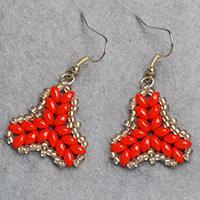 Hope you like the 2-hole seed bead butterfly earrings. 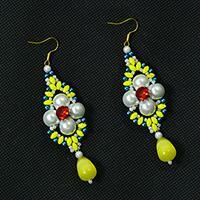 In this article, you can see a pair of yellow 2-hole seed bead ball earrings. 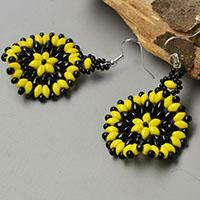 The detailed Pandahall tutorial below will show you how to make the yellow seed bead ball earrings. 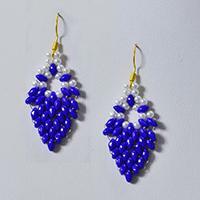 Do you like seed bead jewelry? 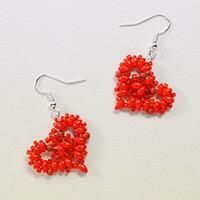 In this article, you can see a pair of red 2-hole seed bead heart earrings. The following tutorial will show you how to make the heart earrings. 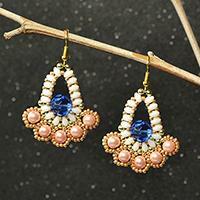 Seeking for 2-hole seed bead jewelry design? 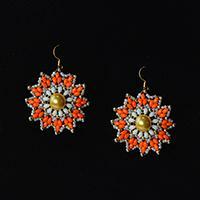 Here is a snowflake shaped earrings design for you! Have a nice check! 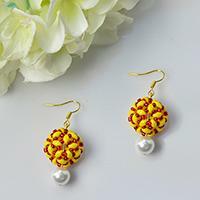 Love making pearl and seed beads earrings? 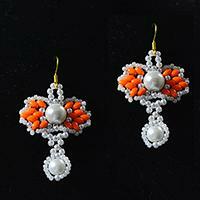 If yes, today’s Pandahall tutorial on how to make heart pearl and orange 2-hole seed beads earrings must attract you a lot!